Cesare Lombroso, one of the influential founding figures in criminological social science, dedicated a great deal of his research, study, and writing to the analysis of anarchists, as, in his view, prototypical agitators. 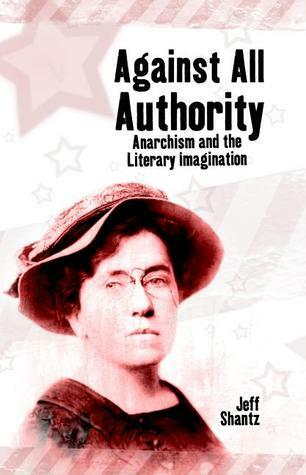 Indeed, the centrality of concern over anarchism in his work is often overlooked or forgotten. The anarchists provide one of the primary resources for Lombroso’s multisectional “Illustrative Studies in Criminal Anthropology.” Indeed, Lombroso suggests that the study of the physiognomy of the political criminal provides perhaps the most practical application of Criminal Anthropology (capitalization in the original). Lombroso’s interests in anarchists as a significant criminal type emerge very early on in his work. He develops a lengthy discussion of the anarchist criminal figure in 1891 in his article “Illustrative Studies in Criminal Anthropology. III. The Physiognomy of the Anarchists” published in the journal The Monist. Such study of anarchists, as the prototypical political criminal, according to Lombroso, furnishes nothing less than the juridical basis of political crime, something which had seemed to elude earlier researchers and their research. Indeed, Lombroso suggests that before his research it was common for analysts and laypeople alike to conclude that there was no political crime. Certainly, that was the conclusion of jurists, Lombroso argues. Note that Lombroso does not address, or seem even to conceive of political crime as an activity of elite institutions, such as the government or criminal justice systems. In a 1900 article, “A Paradoxical Anarchist,” published in Popular Science Monthly, Lombroso notes that up to that point much of his research on anarchists had been done only through indirect or secondhand studies. Those indirect studies involved analysis of data furnished by journals, legal proceedings, and handwriting analyses (!) 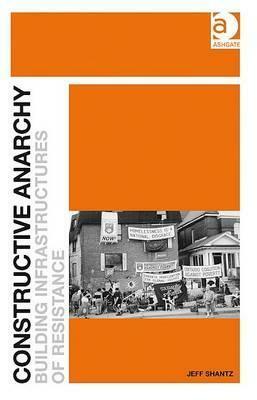 of small numbers of anarchist subjects. He notes, for example, his attempts to study supposed anarchists Caserio and Luccheni through indirect means. Lombroso actually bemoans the fact that he has only rarely had the opportunity to examine a “real live” anarchist directly and “make those measurements and craniological determinations” without which study is reduced to an approximation and remains merely hypothetical (1900, n.p.). Yet none of this stopped him from making a range of rather extreme claims against anarchists based on no direct contact with any of his “subjects” and with only limited, often entirely inaccurate, information about the movements and groups they were said to be a part of. At the same time, and despite this lack of meaningful information, anarchists posed a central and significant concern for Lombroso and, indeed, serve as significant targets for his research. One might suggest, in fact, that much of Lombroso’s criminological analysis is developed through a fascination with anarchism. Without the figure of the anarchist Lombroso’s work would surely have lacked spectacular effect and political influence, as well as social impact. And he got anarchism completely wrong. Here, despite his critiques of classical criminology, for being an idealistic utiltarian philosophy rather than science, he shows something of a utilitarian assessment of acceptable or legitimate social action. The minority can legitimately be harmed if such harm if palatable to the majority (the greatest good for the greatest number)—however that majority might be determined and canvassed. More than this, though, Lombroso reveals his own underlying belief that one can be, indeed is, a criminal or madman simply because one does not agree with the majority. Furthermore, Lombroso’s social ontology emphasizes minimal change and even them only at the slowest of paces. He envisions society as tending toward stasis. In his view, expressed in “Anarchy and its Heroes,” in societies, even advanced economic ones, “the law of inertia dominates” (1897, 2). This is, for Lombroso, a characteristic that marks the majority of people in society, as well as the overall tendency of society itself. Hereditary anomaly, for Lombroso, provokes moral anomalies. It makes criminals and anarchists innovators, advocates for progress (1891, 341). They supposedly suffer from a suppression of “misoneism,” the horror of novelty. It is this horror of novelty, says Lombroso, that is nearly a “general rule of humanity” (1891, 341). For Lombroso, social misoneism is in opposition to ideas of revolt. In revolts or insurrections, which he distinguishes from revolutionary change, Lombroso argues, “there only appear madmen and criminals who are led by their morbid state to feel and to think differently from everyone else” (1897, 2). Misoneism supposedly restrains normal people from engaging in such activities. In this suppression of misoneism, anarchists share another, key, trait with lunatics and the insane. Lombroso suggests: “Whoever has observed in asylums the conduct of lunatics, will understand that one of their characteristics is originality, just as in men of genius; only the originality of the insane and of moral lunatics, or of born criminals, is very often absurd or unavailable” (1891, 342). This, though, far from being a scientific conclusion, is a political assertion. It is a reflection of Lombroso’s own personal preference. That society can be, and is, open to change and can, and does, embrace the new is reflected by the dramatic, and rapid, technology-enhanced, change in the current period of techno-capitalist globalization and the internet. Innovation and originality are key catchwords of the current period of capitalist globalization and have been at least since the rise of public relations industries in the 1940s. Of course, Lombroso himself was writing during a period of some of the most rapid change in human social history, the Industrial Revolution. We might note that Lombroso did not apply his theory of misoneism to the industrial and corporate heads who were themselves pushing dramatic change nor did he apply the theory to politicians creating and/or passing legislation to facilitate rapid (and often destructive) social and/or environmental changes. Lombroso makes a false distinction between proper revolutions which he suggests, rather arbitrarily, are slow and prepared expressions of ongoing evolution, and revolts which, in his view, are “the precipitous, artificial incubation at exaggerated temperatures of embryos that due to this fact are doomed to a certain death” (1897, 2). Lombroso echoes conservative sociologists of crowds and riots in suggesting that public uprisings are not expressions of dissent or rational organizing but rather the result of instigation by “outside agitators”—“rendered more rapid by some neurotic genius or some historical accident” (1897, 2). Otherwise revolutions are, in Lombroso’s opinion, slow and gradual. Furthermore, for Lombroso, revolts respond only to causes that, in his view, are of little importance, being only local or personal in character. Lombroso has an entirely arbitrary delineation of participants in revolutions and participants in revolts. In his schema only criminals and madmen are present in the latter. According to Lombroso, and this is a particular bias of police and politicians who oppose social movements, criminals participate in revolts “much more than do honest people” (1897, 2). Lombroso adds a certain ethnocentrism, reflecting his overarching bio-evolutionary racist perspective, in going further to suggest that revolts are also “frequent among the least advanced peoples, like in Saint-Dominique” (1897, 2). Never mind Lombroso’s gross assumption that people who do not personally or actively take part in insurrections do not support or sympathize with people who do take the responsibility and risk of participation. 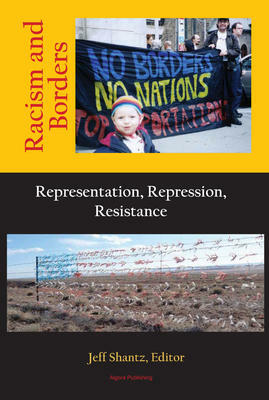 This assumption flies in the face of most historical and sociological studies that suggest there are many who do not participate in such public mobilizations (as insurrections or uprisings or even street protests) who do nonetheless support them and/or their participants and/or the ideals underpinning them. Indeed, social movement theorists have long identified and analyzed what is called the “free rider syndrome.” This refers to the situation in which many people who support mass mobilizations allow others to take the risks associated with popular efforts and movements to achieve social change, particularly in contexts of criminalization and repression that attach potentially heavy costs to participation. Notably, perspectives such as those proffered by Lombroso actually play into and reinforce an environment of state repression and criminalization by pathologizing activism and suggesting that it is criminal activity, rather than a legitimate expression of dissent. The anarchist advocacy of, and support for, revolts and insurrections—uprisings against economic exploitation and social injustice—has serious implications for Lombroso. 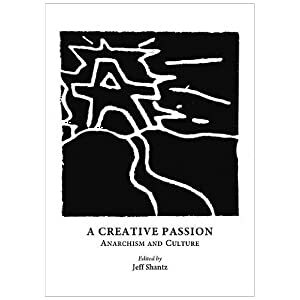 In his view: “It follows from this that it is easy to understand that the anarchist movement is composed for the most part (except for a very few exceptions, like Reclus and Kropotkin) of criminals and madmen, and sometimes of both together” (1897, 2). For Lombroso, misery makes the anarchists failures and rebels. So opposition to misery becomes a malady. Unfortunately poverty leaves most anarchists without material for useful novelties. So they turn to bombs according to Lombroso. For Lombroso, if anarchists had understood that humanity is misoneic, ruled by caution and hesitant to progress, they would never have become anarchists in the first place. The members of the Paris Commune, common folks who revolted against exploitation, are referred to by Lombroso as having an “innate cruelty.” They had a “true moral insensibility” (1891, 341). This is marked only by their refusal to accept conditions of oppression, inferiority, and subordination as well as poverty and deprivation. In order to explain this…we must recall what occurs among hysterics like Vaillant. Here is a rather classic case of a psychological framework being applied to address social conditions. Lombroso actually provides a pseudo scientific cover for the competitive and acquisitory, privatizing, forces that are hegemonic within capitalist social systems and which are promoted by political and economic elites who benefit from such arrangements. Lombroso identifies forces that are counter to the privatizing and competitive forces of capitalism as being deviant or insane. Not only are they “mad” however. They are a particular type of madness—moral madness. Altruism and mutual aid are threats to the moral structures of capitalism—of competitive acquisition, the bourgeois work ethic, acceptance of private ownership of collective resources, class inequality, and so on. Here Lombroso prefigures Stan Cohen’s discussions of moral panic in suggesting that mutual aid and altruism (and anarchist practitioners) are posed not only as material or physical threats to society but as threats to moral order as well. To be straightforward, Lombroso actually comes off as rather mean spirited in his social vision. In condemning various acts of mutual aid and altruism, and attempting to condemn such behaviors on psychological as well as moral and criminal grounds he shows not only an analysis distorted by the priorities of capitalist market relations but hints at a certain viciousness in his own approach. The unfavorable comparison of altruistic “hysterics” to knights of industry, who are upstanding symbols of industrious virtue, is telling. In his condemnation of social sympathy, mutual aid, and altruism, Lombroso gives himself away as something of, well, an atavist. This is perhaps not so surprising for an upholder of the status quo and dominant institutions and relations in a capitalist society. Indeed, under capitalism, where private property and profit rule, gift giving, mutual aid, and altruism can seem like, can be rendered deviant behaviors. It is not uncommon either to ridicule those who promote and/or pursue alternative institutions and ways of relating. Clearly Lombroso was able to use his “analysis” of anarchists and Communards to gain access to resources of the Paris police. He was also able to present himself as an “expert” analyst, despite the clearly political nature of his work. Lombroso was able to use his profiling of anarchists to build cultural, or “scientific,” capital for himself and to establish his position as a reliable scientist and policy advisor. He was, even more, of course, able to parlay his political posturing against anarchists into a prominent, viable, and highly rewarding career as a criminologist. 1891. 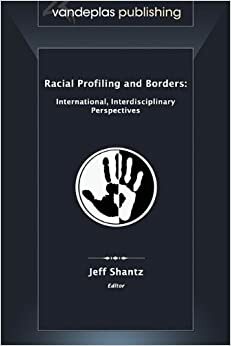 “Illustrative Studies in Criminal Anthropology. III. The Physiognomy of the Anarchists.” The Monist 1(3): 336–343.